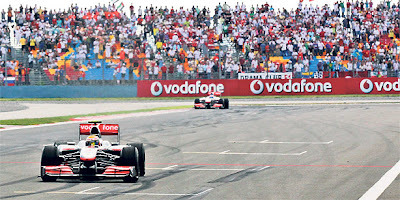 It has been discussed all through 2011 that this could be the last year for the Turkish Grand Prix. In the recent weeks, Turkish authorities have begun to confess that they may not be able to keep hosting the event in Turkey, meaning that the country may vanish from the Formula One calendar. Little audience interest is considered to be the main reason for the Turkish authorities’ reluctance to provide money for the race, which can only continue if Turkey agrees to pay $26 million to the F1 management, as the contract between the two sides terminates this year. The race’s potential spectators on the streets of Istanbul are not happy that the Formula One is about to bid farewell to Turkey. Even though most of them never showed up at Istanbul Park, they still say it is sad that the event’s final edition is taking place this year. The city’s residents emphasize that the event was good for promoting Turkey, it contributed to the economy and hosting such a world-class sporting event was a good experience.